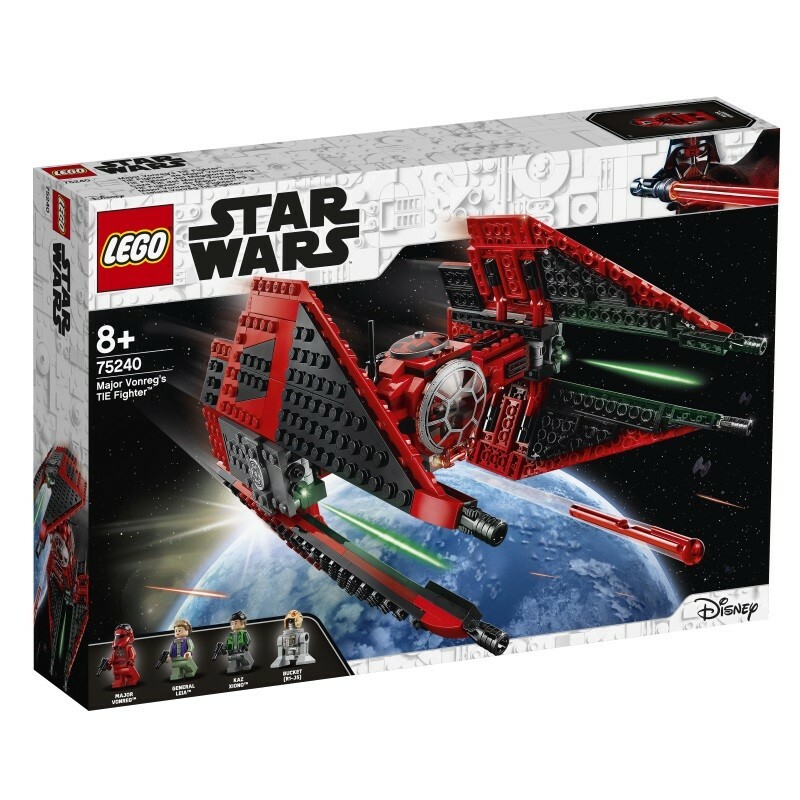 Build and play with Major Vonreg’s LEGO® Star Wars™ TIE Fighter from the animated Star Wars Resistance TV series! 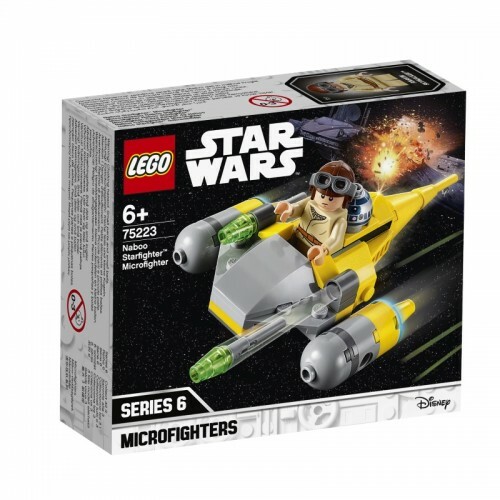 Help General Leia, Kaz Xiono and their droid R1-J5, a.k.a. 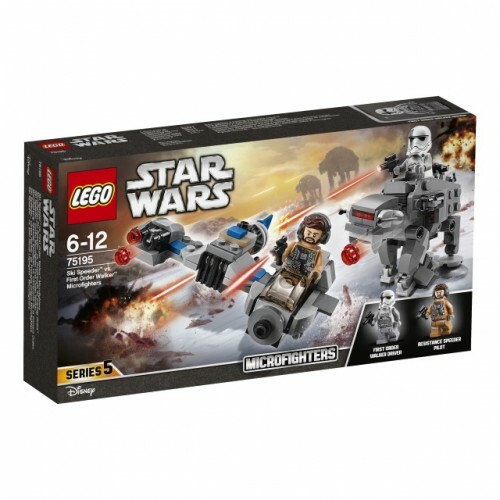 Bucket, escape from Major Vonreg in his amazing TIE Fighter! 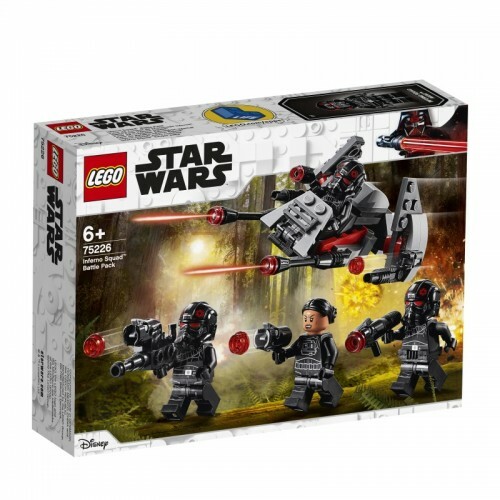 Help him track them down and then push the trigger to each side to launch the spring-loaded shooters. 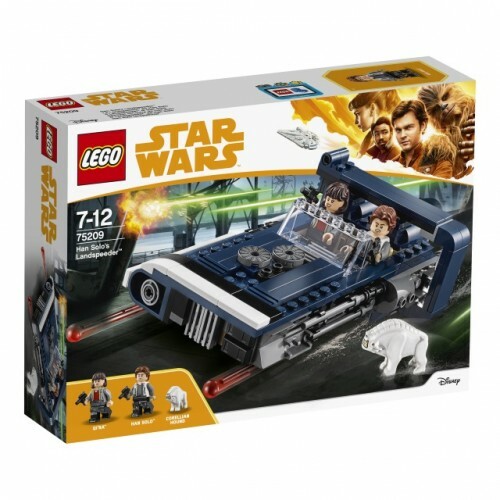 Then jump him out of the cockpit and chase after those pesky rebels! 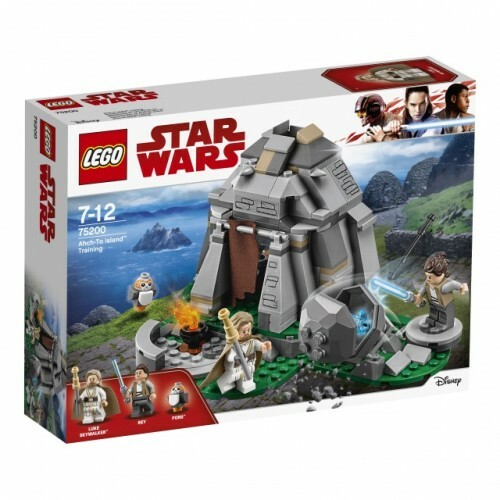 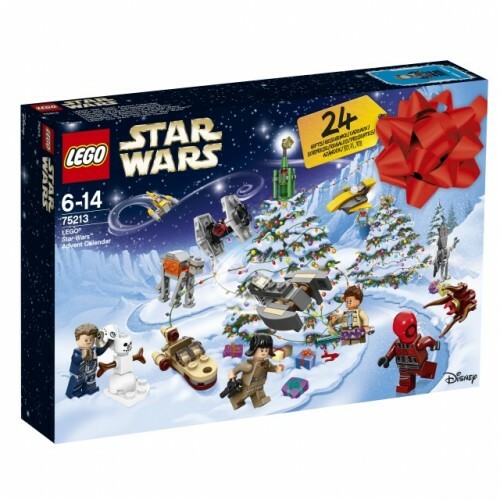 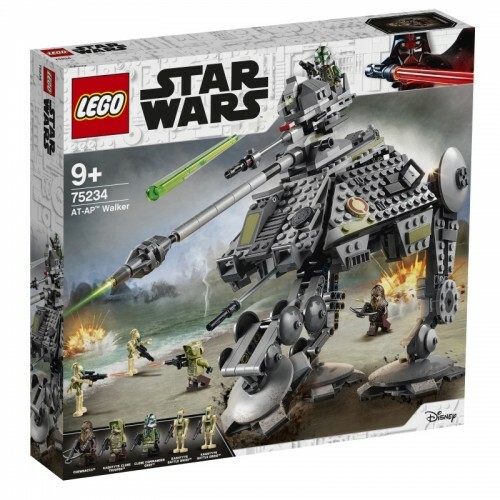 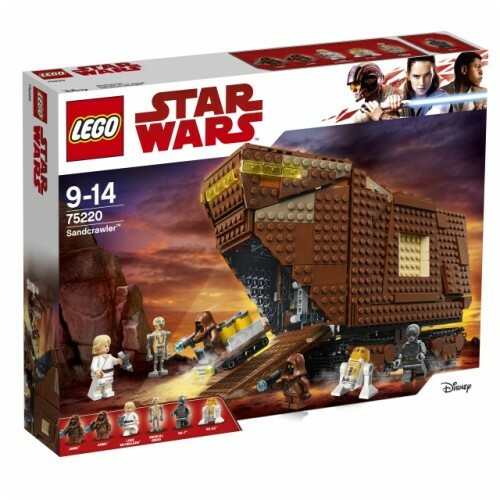 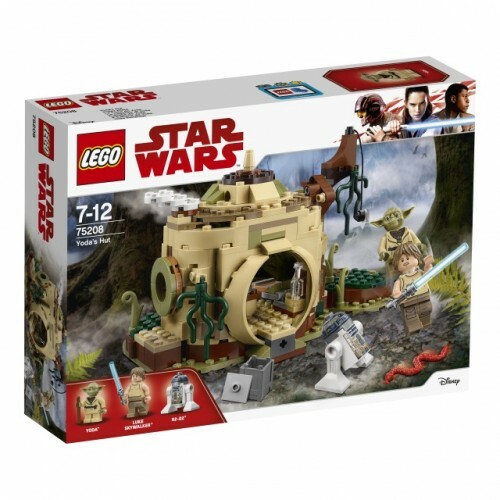 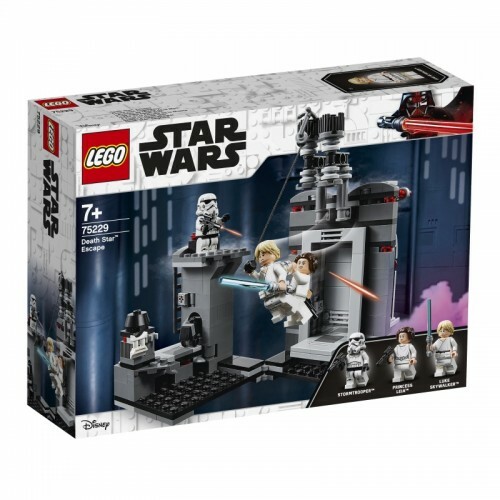 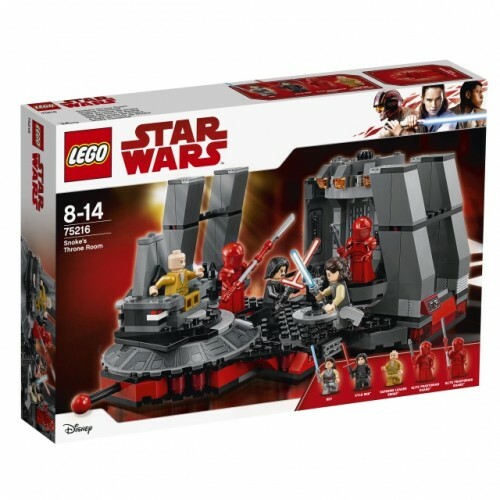 • Includes 3 LEGO® Star Wars™ minifigures: Major Vonreg, Kaz Xiono and General Leia, plus Bucket (R1-J5). 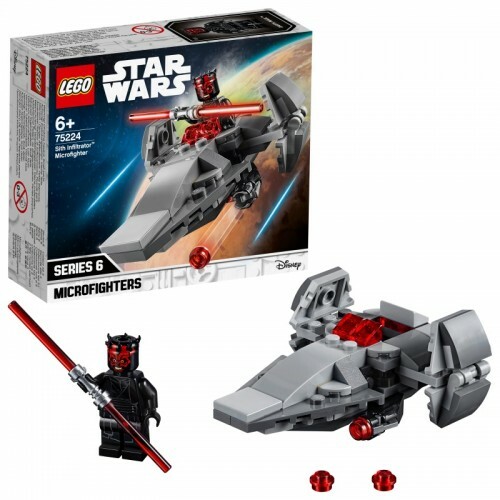 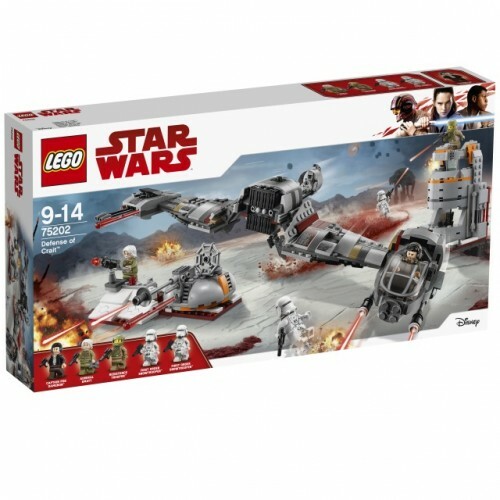 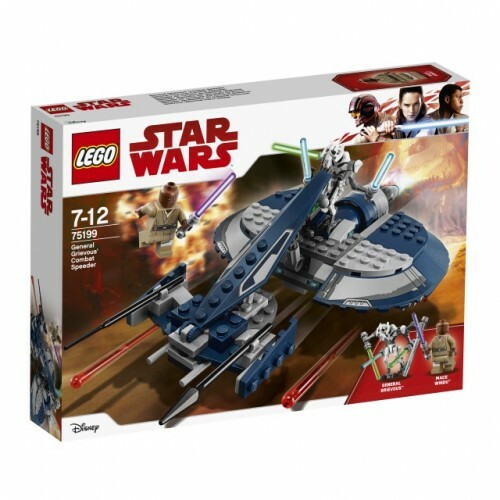 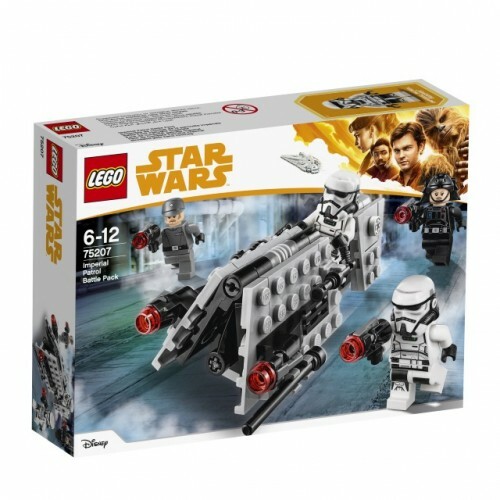 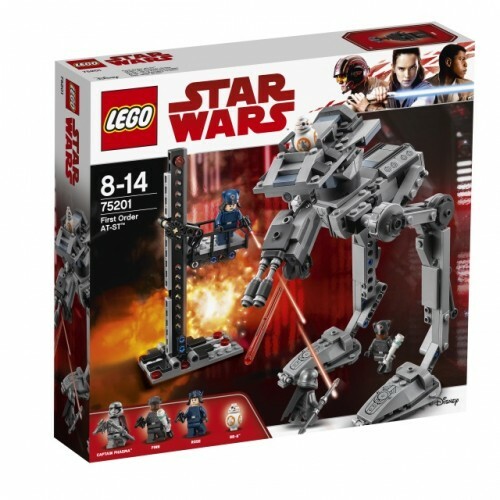 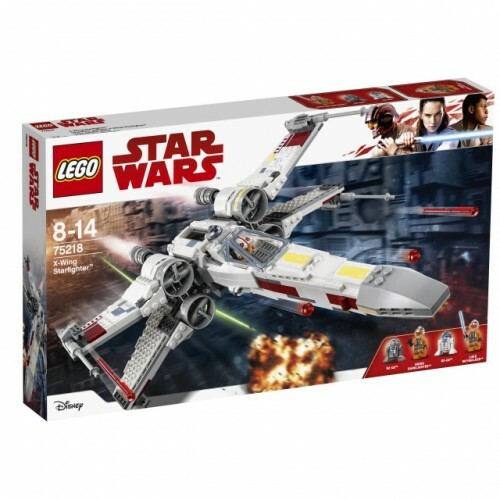 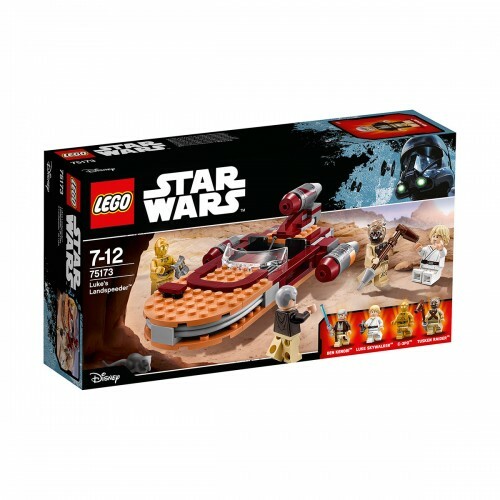 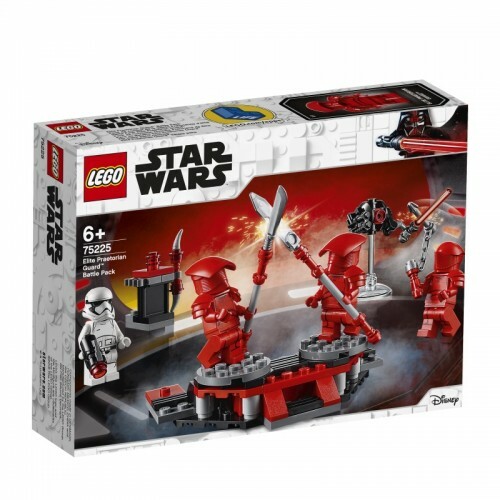 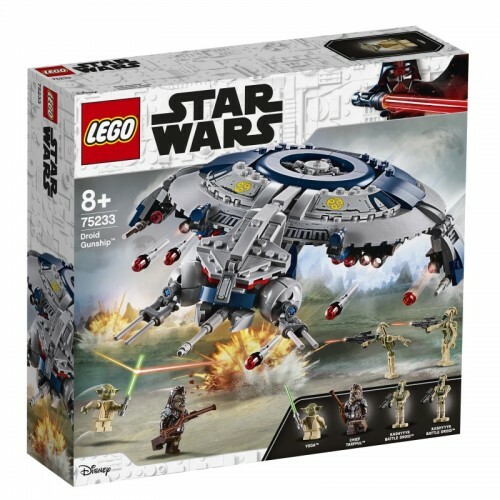 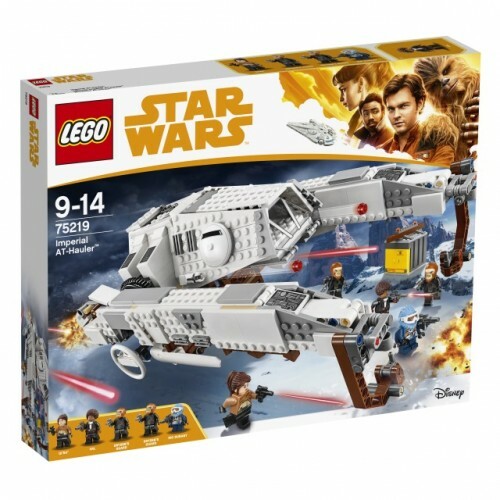 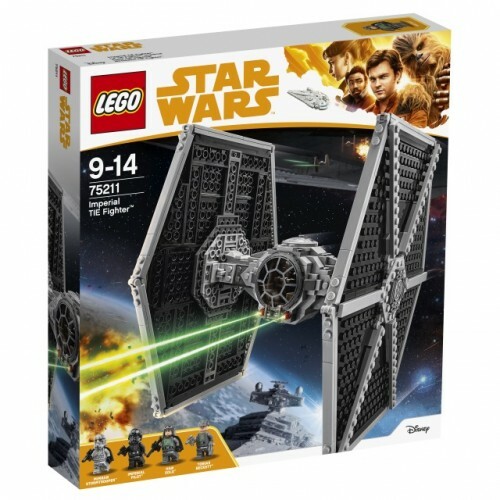 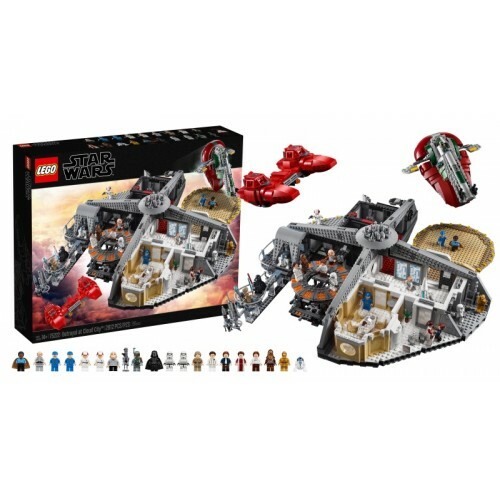 • LEGO® Star Wars™ TIE Fighter construction toy features an opening minifigure pilot cockpit, special black and red detailing, and 2 spring-loaded shooters that are fired by sliding the trigger left and right. 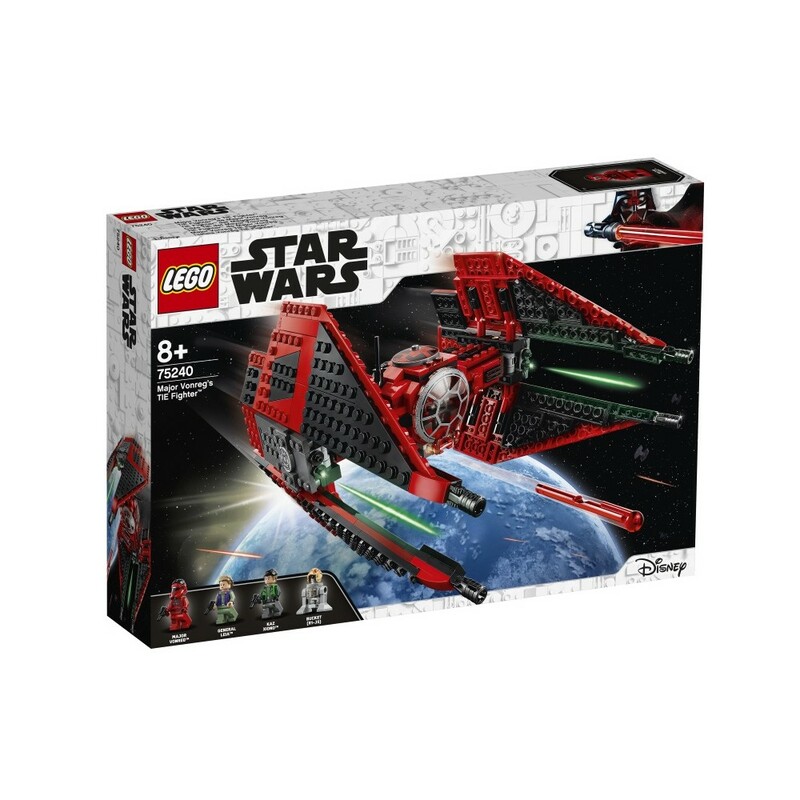 • Also includes 3 blaster pistols. 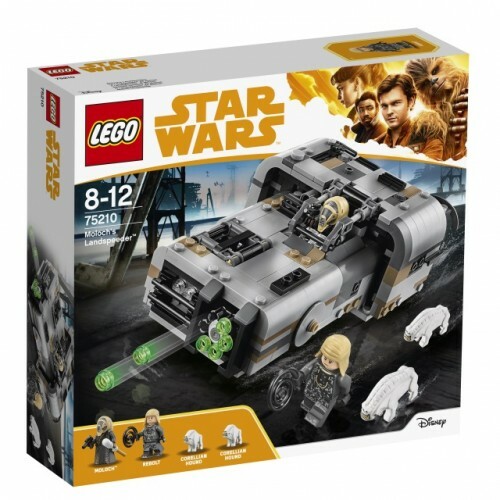 • New-for-April-2019 details include Major Vonreg's helmet, Kaz's hair element and new molded 4x6 left- and right-wing elements. 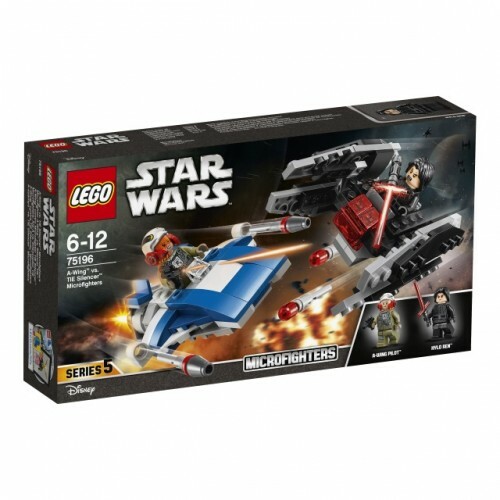 • Recreate fun space fighter missions from the hit Star Wars Resistance TV series. 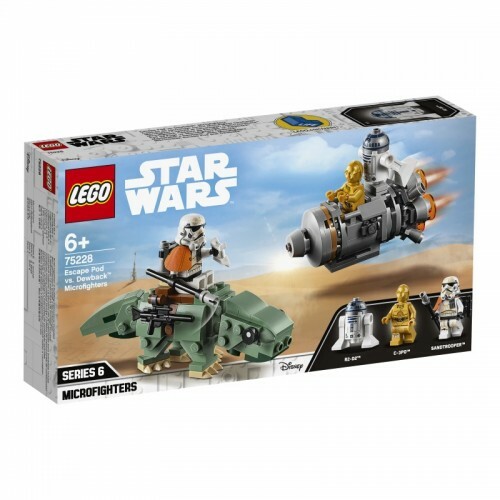 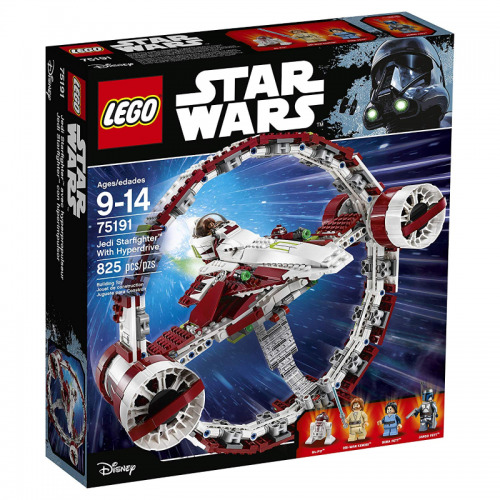 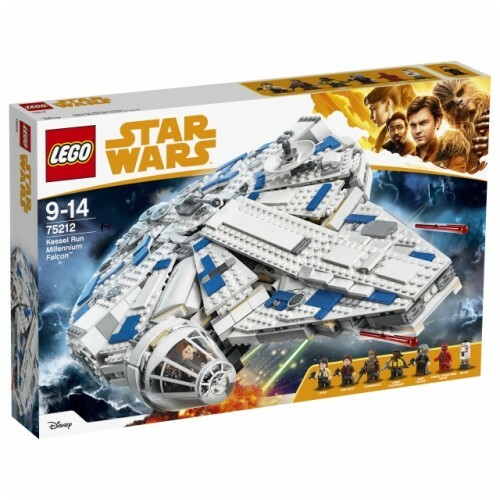 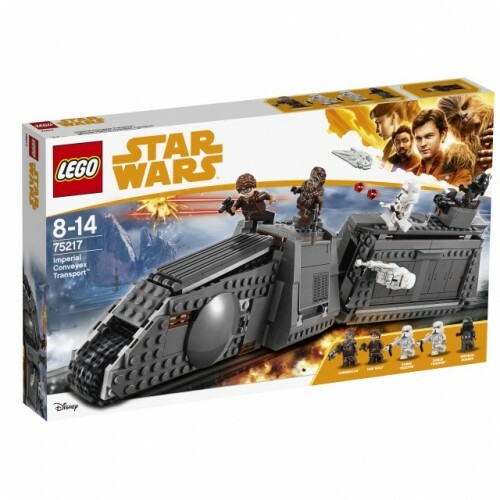 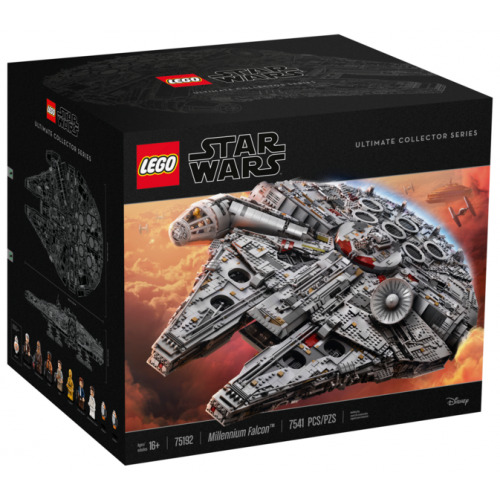 • LEGO® Star Wars™ building toy starship measures over 6” (16cm) high, 9” (23cm) long and 7” (18cm) wide.